We looked at the top 10 Chromebooks and dug through the reviews from 86 of the most popular review sites including Laptop Magazine, Digital Trends, Consumer Reports, PC World, CNET, Trusted Reviews and more. The result is a ranking of the best Chromebooks. Interested in other non-Chromebook laptops? Check out our full review of the best laptops. Our experts reviewed the top 10 Chromebooks and also dug through the reviews from 86 of the most popular review sites including Laptop Magazine, Digital Trends, Consumer Reports, PC World, CNET, Trusted Reviews and more. The result is a ranking of the best of the best Chromebooks. The Acer Chromebook 14 has a reliable keyboard, a dependable battery and a sleek design. The 14-inch screen is perfect for watching shows on Netflix. DWYM Electronics Experts plus Digital Trends, Trusted Reviews, Laptop Magazine, PC World, CNET, The Verge and 2 more. Along with user reviews from Amazon, Walmart and Target.
" We quite enjoyed typing on the Acer Chromebook 14’s keyboard, which is generously spaced and offers large keys." "Connectivity is also surprisingly limited, considering how much space is available along the sides." Incredibly slim and light, the Samsung Chromebook 3 has a bright 11.6-inch screen, a super responsive clickpad and a long battery life. DWYM Electronics Experts plus Laptop Magazine, PCVerge, Digital Trends, Trusted Reviews. Along with user reviews from Amazon and Best Buy.
" The Chromebook 3's accurate hues are partly due to its near-perfect 0.2 Delta-E rating (closer to 0 is best)." "It does cut corners, however, like shoddy key placement and feeble speakers, and the usual limitations of Chrome OS." Switching from laptop to tablet mode is easy with the Google Pixelbook. Android Apps work seamlessly on this Chromebook. DWYM Electronics Experts plus Tech Radar, Digital Trends, Laptop Magazine, The Verge, CNET, Wired and 2 more. Along with user reviews from Amazon.
" Perhaps the most marquee feature of the Pixelbook is its wholecloth support of Android apps and the Google Play store, not to mention the brand new launcher interface to access these apps." "Chrome OS isn’t compatible with the testing software we normally use for displays, so we weren’t able to go as deep as normal." The Acer Chromebook 11 offers a beautiful display, is super light and can start up in just 5 seconds. DWYM Electronics Experts plus Tech Radar, Digital Trends, CNET, PC Magazine. Along with user reviews from Amazon.
" Its bright screen has no noticeable glare and has excellent viewing angles for watching streaming video and view web content." "It’s plenty wide, but not terribly tall, which can leave your finger hitting the edges a lot during normal usage." We identified the majority of the chromebooks available to purchase. 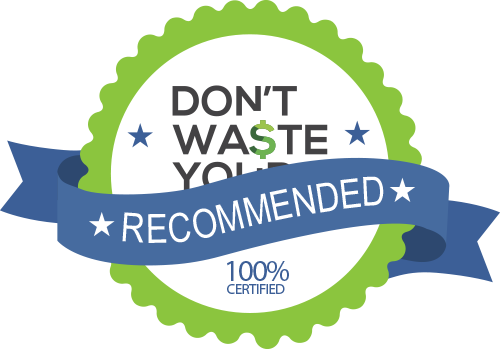 Reviews from our DWYM category experts and analysis of some of the most respected sources including: Laptop Magazine, Digital Trends, Consumer Reports, PC World, CNET. We also incorporate user reviews from the leading retailers including Amazon, Walmart, Best Buy, Target and 3 others. We quite enjoyed typing on the Acer Chromebook 14’s keyboard, which is generously spaced and offers large keys. One of the main benefits of Chromebooks is the generally dependable battery life. The Acer Chromebook 14 has none of these problems, as its brushed metal lid and aluminum chassis give it a sleek design and great build quality. Acer touts the all-aluminum chassis on the Chromebook 14, and for good reason. Amid a pile of plastic competitors, the brushed-metal shell looks refined and feels great. It’s made of aluminum, has a fantastic keyboard / trackpad combo, and a crisp 1080p display. The Celeron line is much less powerful than the Intel Core line most users are familiar with, and is optimized more for battery usage than performance. Connectivity is also surprisingly limited, considering how much space is available along the sides. Acer gave the notebook keys with only 1.14 millimeters of travel, which is too shallow and leads to bottoming out (the act of slamming one's digits against the deck). I was particularly unhappy with the keyboard, which has the hard-plastic keys and harsh, abrupt travel typical of entry-level Chromebooks—not what the Chromebook 14 is supposed to be. But on the other end, the Chromebook 14 is hindered by its lack of a touchscreen — just as Google prepares to usher Android apps into Chrome OS. The Chromebook 3's accurate hues are partly due to its near-perfect 0.2 Delta-E rating (closer to 0 is best). The Samsung Chromebook 3 is a budget system that offers the brightest 11.6-inch display in its class, strong performance with 4GB memory and almost 10 hours of battery life. The clickpad below the keyboard is surprisingly responsive and easy to use. Sleek, tapering lines help to make this XE303C12 look incredibly slim, and as the majority of its connectivity is found around the rear (a matter of form over function in our book), the sides are mostly kept nice and clean. The Chromebook 3's speakers distorted the trumpets whenever they reached the high notes, and the cymbals sounded more muddy than on the Stream 11. It does cut corners, however, like shoddy key placement and feeble speakers, and the usual limitations of Chrome OS. Both speakers are on the bottom of the unit, and unless it’s sitting on a flat surface, music and others sounds are muffled. Unfortunately, the 11.6-inch screen on the Samsung Chromebook Series 3 doesn’t support touch; one of the ways in which the cost is kept down on this ultraportable laptop. Tired of your old and heavy laptop? Is your desktop computer slowing down and out-of-date? It may be time to get yourself a Chromebook laptop. Chromebooks are light, portable and won’t drain your bank account. Chromebooks are different from your typical laptop computers that run Windows or Mac operating systems. Chromebooks use Google’s Chrome OS, which was created from the Linux operating system. Chrome OS differentiates itself from the competition by running only web-based applications. Chromebooks hit the market in 2011 and have continued to grow in popularity today as a popular choice in schools across the country. Chromebooks tend to be lighter and have better battery life than other laptops. While a Chromebook can’t do everything, it’s a good option if you plan to use your computer to browse social media, watch shows on Netflix or Hulu and use the stable of Google applications like Gmail, Google Docs and Google Drive. Chromebooks also tend to be safer than other computers. Thanks to Chrome OS, Chromebooks are less susceptible to viruses than computers that run Windows or Mac operating systems. Unlike other laptops, when you start up a Chromebook, the only app that you will see is the Google Chrome web browser. Chromebooks rely on the internet because they function with Google’s web-based applications. While Chromebooks like the Acer Chromebook 14 come with a 32 GB hard drive, the bulk of your storage space will exist in the cloud on Google Drive. This is one of the great benefits of Chrome OS and the cloud because you will be able to access all of your documents on any computer with internet access. Just log into your Google account and you can view and edit any of your documents or emails. If you are looking for a lightweight laptop that has fast boot times (on average, just 8 seconds), is optimized for Google apps, has a long battery life and is easy to use, then a Chromebook may be right for you. Have you ever booted up your desktop or laptop computer only to have a notification pop up on your screen that you have a software update waiting in install? Have decided to delay it for four hours? Until the next day? Do you keep putting if off for weeks? Well, with a Chromebook you will no longer have to worry about annoying notifications and delaying updating your operating system software. Google’s Chrome OS software quietly updates itself in the background of your computer while you are using your laptop. You will no longer need to stop what you are working on to update to the newest software. Google typically comes out with minor updates to its Chrome OS every two to three weeks, with larger updates occurring every six weeks. Google’s Chrome OS is based off of Linux’s operating system, allowing Chromebooks to run Linux applications. Chromebooks have become the go-to laptop for schools across the country. As of January 2018, more than 25 million students and teachers use Chromebooks in the classroom. The affordable price point is the main reason why this product has become so popular in school. The Acer Chromebook 14 typically costs less than $300, the Samsung Chromebook 3 can be purchased for around $200 and the Acer Chromebook 11 is typically priced at under $300. But the price isn’t the only advantage of having a Chromebook in the classroom. Chromebooks are also very secure and school administrators can make sure they prevent students from visiting websites that are inappropriate for the classroom. Chromebooks also work with Google’s educational suite of apps. Chromebooks have always been able to run Google applications, but starting with 2017 models, Chromebooks began having the functionality to run Android applications as well. The result: Chromebooks can now run more than a million additional apps, helping to increase their popularity. Chromebooks can run more apps than any other device. The Google Pixelbook is the first Chromebook to come installed with Google Assistant. Like Amazon’s Alexa or Apple’s Siri, Google Pixelbook allows you to talk directly to your laptop and ask questions to Google Assistant. You can also tap a key on your keyboard to activate Google Assistant and type your question in an on-screen chat window. You can also control your music and videos by talking to Google Assistant. While Chromebooks work best when they are connected to the internet, more than 200 apps exist that work while offline. Applications like Gmail, Pocket and Google Drive can all be used without an internet connection. The offline apps will automatically sync up and save to the cloud once an internet connection returns. Chromebooks are known for being light-weight — most are under 3 pounds. They also tend to have a long battery life. Most Chromebooks can run for an entire day before needing a charge. The Acer Chromebook 14 has a battery life of 12 hours, while the Samsung Chromebook 3 can last up to 11 hours on a single charge. While Chromebooks aren’t known for coming with large hard drives, the Acer Chromebook 11 and Acer Chromebook 14 each come with 32 GB hard drives. Plus, you can still get two years of 100 GB Google Drive cloud storage for free with a new purchase of a Chromebook. Making a laptop that you won’t have to worry about your kid dropping on the floor isn’t easy. But that is exactly what the Acer Chromebook 11 and Acer Chromebook 14 have done (another reason why these devices are so popular in schools). Both have passed military-grade durability tests. The Acer Chromebook 14 can also withstand extreme temperatures, while the Samsung Chromebook 3 has a water-resistant keyboard. If durability is one of your top priorities, a Chromebook should be at the top of your list. Chromebooks may not be the laptop for you if your main priority for a computer is gaming. While a Chromebook provides a lot of great advantages, playing PC games isn’t one of them. The monitors of Chromebooks typically range from 11 inches to 13 inches. The Acer Chromebook 14 has a slightly larger screen, topping out at 14 inches. You’ll want to consider how important screen size is to you before making a purchasing decision. For the Chromebook category, we analyzed 86 of the most popular reviews including reviews from Laptop Magazine, Digital Trends, Consumer Reports, PC World, CNET, Trusted Reviews and more. The result is a ranking of the best Chromebooks.